It been a long time coming, but the giant robot battle between Boston-based Megabots’ Mark III and Japan’s Kuratas takes place this August. Now, China has decided it wants to join in on the fighting. Its Monkey King machine could enter the sport and may become the Mark III’s second opponent. 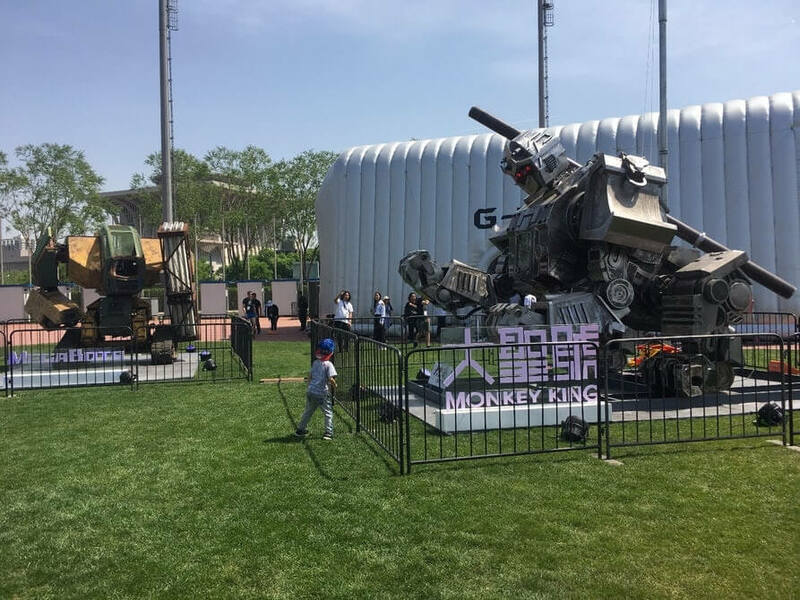 Megabots is still deciding whether to allow the Monkey King, which comes from Beijing’s Gunmetal, to compete. It was unveiled over the weekend at the capital city's national stadium, and as you can see in the promo video, it can fight on all fours or stand on hind legs when using its staff. The Mark III weighs 12 tons and is powered by a 430-horspower V8 engine. With Suidobashi Heavy Industry insisting on the fight being a hand-to-hand match, the Megabots team needed to make some changes to its original design. The 16-foot tall robot's new Heavy Lifting Arms can pick up a total of 2500 pounds. So, we start on the road to Front Mission level of robots. Hell with augmented reality, this is waaaay better. madboyv1, mbrowne5061 and Reehahs like this. Soon, land will be fought over using giant robots that will be the pride of their nation and the pilots who control them will be as famous as athletes. YOU'RE NEXT ACHILLES! All that time playing mechwarrior will finally be time well spent..
merikafyeah, TheBigT42 and Peter Farkas like this. It's no robot, it's mobile armor suit!